My mom recently moved into a new office building with typical boring cubicles. 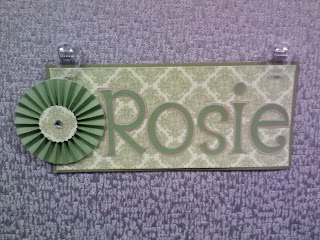 So she asked me to make her a name tag to put on her cubicle, just to pretty it up a little. 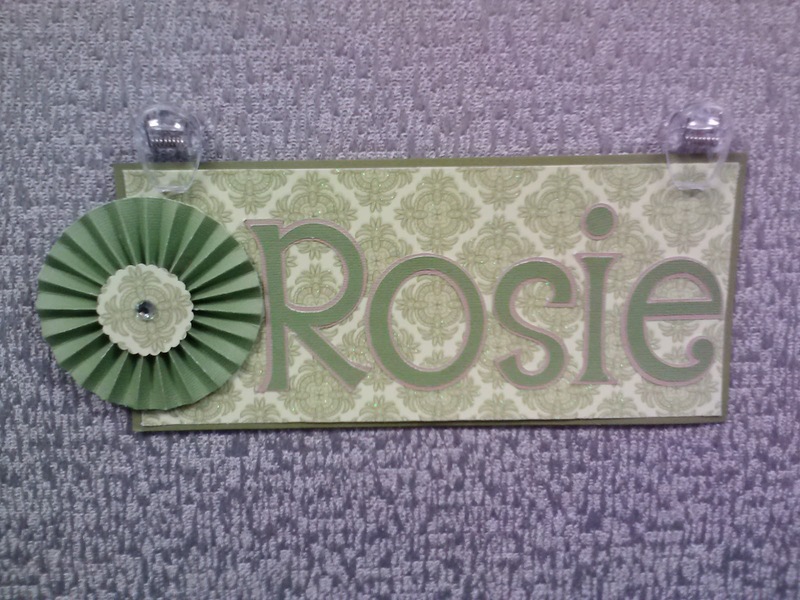 This is a really simple project, but it adds something special to boring office spaces. 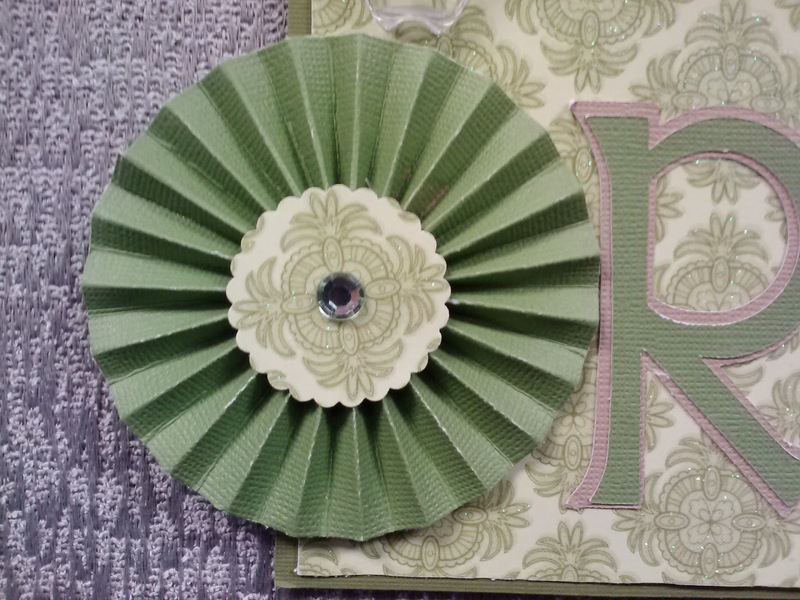 I used green papers because that is her favorite color and cut her name using Alphalicious on my Cricut. 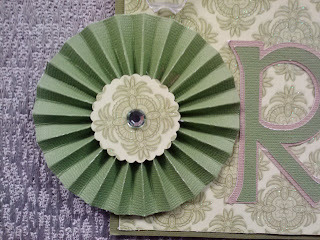 I had never made a paper rosette before, but it was really easy, especially using my Martha Stewart score board. 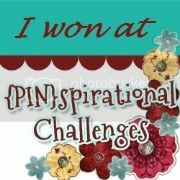 I love the look of the rosettes, so I have to think of new projects to use them. Because this is for an office, I wanted to make sure ﻿there wasn't going to be any problems attaching the tag, so I just used clips from an office supply store to attach it.